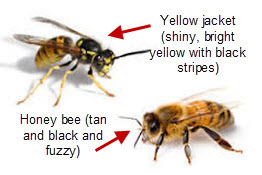 Our previous findings have demonstrated that bee venom (BV) has anti-cancer activity in several cancer cells. However, the effects of BV on lung cancer cell growth have not been reported. Cell viability was determined with trypan blue uptake, soft agar formation as well as DAPI and TUNEL assay. Cell death related protein expression was determined with Western blotting. An EMSA was used for nuclear factor kappaB (NF-κB) activity assay. BV (1-5 μg/mL) inhibited growth of lung cancer cells by induction of apoptosis in a dose dependent manner in lung cancer cell lines A549 and NCI-H460. Consistent with apoptotic cell death, expression of DR3 and DR6 was significantly increased. However, deletion of DRs by small interfering RNA significantly reversed BV induced cell growth inhibitory effects. Expression of pro-apoptotic proteins (caspase-3 and Bax) was concomitantly increased, but the NF-κB activity and expression of Bcl-2 were inhibited. A combination treatment of tumor necrosis factor (TNF)-like weak inducer of apoptosis, TNF-related apoptosis-inducing ligand, docetaxel and cisplatin, with BV synergistically inhibited both A549 and NCI-H460 lung cancer cell growth with further down regulation of NF-κB activity. These results show that BV induces apoptotic cell death in lung cancer cells through the enhancement of DR3 expression and inhibition of NF-κB pathway. The aim of the study was the evaluation of myorelaxant action of bee venom (BV) ointment compared to placebo. Parallel group, randomized double blinded trial was performed. Experimental group patients were applying BV for 14 days, locally over masseter muscles, during 3-minute massage. Placebo group patients used vaseline for massage. Muscle tension was measured twice (TON1 and TON2) in rest muscle tonus (RMT) and maximal muscle contraction (MMC) on both sides, right and left, with Easy Train Myo EMG (Schwa-medico, Version 3.1). Reduction of muscle tonus was statistically relevant in BV group and irrelevant in placebo group. VAS scale reduction was statistically relevant in both groups: BV and placebo. Physiotherapy is an effective method for myofascial pain treatment, but 0,0005% BV ointment gets better relief in muscle tension reduction and analgesic effect. Indicative of the rise in the number of people looking to the past for alternative healing methods, there’s been mounting interest across the world in apitherapy. Traced back to thousands of years to Egypt and China, bee venom has been used in ancient medicine for centuries primarily as a treatment for arthritis. Now celebrities such as Kate Middleton and Victoria Beckham are helping propel the trend into the 21st century. Hollywood actress Gwyneth Paltrow, known for her love of unusual and holistic treatments, recently revealed she used bee venom therapy to treat an insect bite. In China, throngs of patients are also reportedly swarming to acupuncture clinics to be given bee stings to treat or ward off a variety of illnesses, disorders and pain, even though there is there is no scientific evidence to support its effectiveness. But what’s the buzz all about? Melittin, the peptide found in the venom, tricks the skin into thinking it has been stung – but without any pain. The skin reacts by increasing blood circulation to the affected area, stimulating natural production of collagen and elastin, thus smoothing out fine lines and wrinkles. In 2013, Washington University, in the US city of St Louis, published a study on the efficacy of milittine in countering the Aids virus. 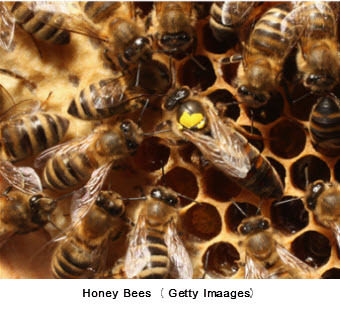 Bee products are also infiltrating the cosmetics industry, used in skin-toning and anti-wrinkle creams. Part of the appeal rests with the natural and organic image of bee products. “In Romania, we have the chance to maintain an unspoiled nature,” said Cornelia Dostetan, a member of the National Apitherapy Society. According to the last census in 2010, Romania counted 42000 beekeepers and more than 1.3 million colonies of bees. Scientists have discovered bees not only bite enemies that are too small to sting, but paralyse their victims with a snake-like venom. The insects use their tiny mandibles to bite animals that are too small to sting, like the wax moth and the parasitic varroa mite. 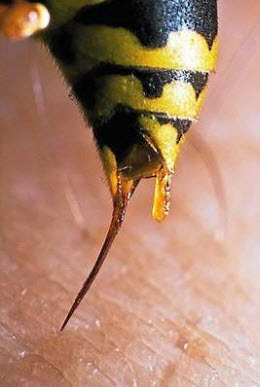 Like the snake bite, the bite contains a natural anaesthetic to paralyse the victim so the pest can be dragged out of the hive. The finding, in the peer-reviewed journal PLOS ONE, could help scientists develop ways to help bees fight off viruses that are affecting the wider population. One of the first things Farrell learned about MS is that it doesn’t typically affect the longevity of your life, but it will affect your quality.With no traditional treatment known for her form of MS, Farrell turned to alternative treatments, including bee venom injections or “stings,” which she did from 1997 to 2009.